How to Buy a Pram? 2. What is a Pram? 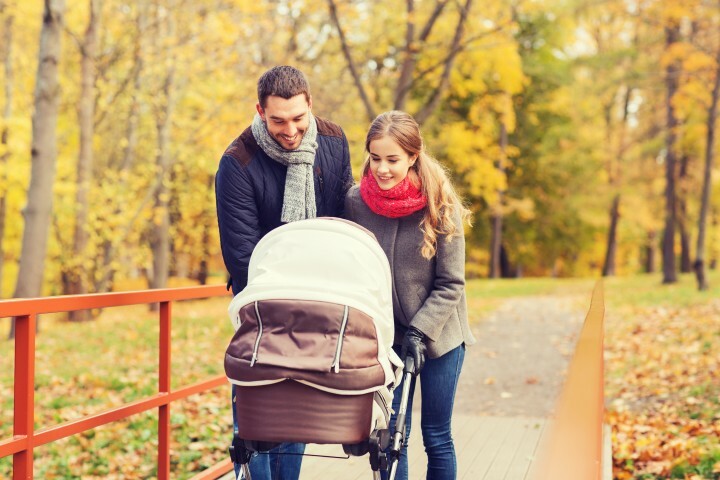 Finding the right pram is a challenge, it's best to be fully informed prior to choosing a pram, from considering your lifestyle to pram accessories to pram safety. The personal preferences of you and your partner are highly important when choosing the right pram. We're here to help you find the best balance between your budget, ideal quality standard and individual preferences. Here at Prams.net, we have created a clear and concise guide covering the most relevant advice and information to ensure buying a pram is a simple and easy process. Your lifestyle plays a big role in determining the right pram brand and model. We've listed the most important considerations below to think about. Newborn babies. . . A pram is ideal for newborn babies as they need to lie on their back. Also a singular pushchair with a full recline or a pushchair and carrycot combination will be suitable. Sleeping location. 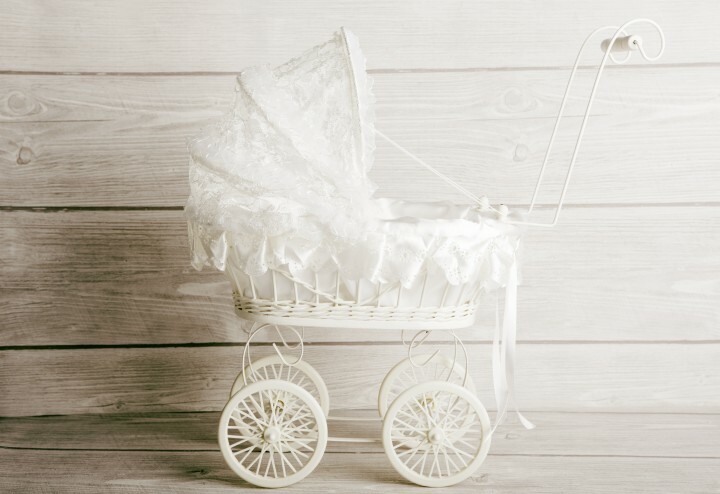 . . Where your newborn baby will sleep will influence what type of pram or carrycot you need, for example, a Moses basket, carrycot, crib or cot. Home. . . Urban, rural or coastal location? A house, apartment or steps leading to your home and so on. Routine Outings. . . City side-walks, shopping centres, parks, country roads, woodlands, beaches and so on. Public Transport. . . Do you use buses, trains, trams or sea buses and so on. If so lightweight and compact folding pram would be ideal. Car. . . Measure and compare the size of your car boot to the size of the stroller when folded. A multi-functional travel system will allow you to alternate your baby between home, car and pushchair without disturbing their sleep. Walking. . . A durable model with lockable and swivel wheels for easier manoeuvring and handling over rough surfaces. Vacations & Travel. . . How often do you travel abroad? Airports, ferries or trains? For all these occasional environments, you will need a lightweight and durable pram. Individual or an All-in-One System . . . An individual stroller to suit your baby as they grow or would it be easier and cheaper in the long run to choose an All-in-One travel or combi system? Price . . . One of the most significant factors, the spectrum of prams range from basic to elite level, in turn price will vary accordingly. Quality . . . What is important to you? For example, the brand reputation, design, materials, safety, comfort, handling & manouevring, durability, suspension and so on. Temperature. . . Breathable material is important to prevent your child from getting too hot or cold. Space . . . There should be enough space for your child as they grow. Safety . . . 5-point safety belt systems are standardised on most modern strollers. Seat Direction . . . Forward or backwards facing seat allows bonding between parents and baby alongside outside exploration. Adjustability . . . A multi-adjustable seat which transitions smoothly between upright and full recline, will ensure comfort when your baby is awake and asleep. Storage Space . . . Is there enough storage space available at home or in your car trunk to compactly store the pram? Speed . . . How easily and quickly can you put together and take apart the pram? Weight. . . A vital matter if you intend to carry the pram up stairs routinely, prams range from 3.3kg and up. Prams allow babies to lie on their back, which supports and protects whilst keeping your baby comfortable in a cosy and warm carrycot.The rear-facing position allows you to interact and bond with your baby, and fits the classic look associated with prams. Pushchairs are compatible with infant carriers and entail a reclining or lie-back seat unit. Buggies and strollers are only usable in seat mode and are not compatible with infant carriers and carrycots. However some are suitable for newborns as they entail a lie-back function. Most buggies and strollers can be used for newborn babies and they are ideal for shopping, vacations and travel, as they are versatile, lightweight and easy to use. To find the lightweight and easy-to-fold model which suits your lifestyle, compare the different model weights and folding mechanisms. They tend to be simple and compact and can come in a jogger model. Every feature is different based on the manufacturer. Chassis - The base frame, ranges from super-lightweight to heavy. Wheels - 3 or 4 wheels, fixed, lockable and swivel in different sizes to suit different terrains. Handlebar - Handle height can be fixed or adjustable to suit you and your partner. Hood - Ranges in size and available with UVF Sun protection embedded within the fabric. Shopping baskets and pockets - Ranges in size and amount of extra storage space. Foot rests - Independent or adjustable. Adjustable seat & backrest - Independent, multi-position reclining. Soft mattress & pillow - Vary in quality, texture and design. Materials impact on different ergonomics and quality of the pram, such as weight, flexibility, stability, comfort and protection from the elements. Of course vary between different manufacturers. Chassis materials - From aluminium, lightweight steel to chrome. Inside and outside fabric - For example, cotton, tweed, polyester and nylon blends. Handlebar and safety bar - For example leatherette or polyester. A descendent from the first ever pram model and fulfils the most basic functions. Suitable from birth until babies can sit up. A fashion statement for parents who want their babies to experience luxury from birth. A balance between luxury, comfort and functionality. Aluminium and super lightweight chassis. Advanced and high quality materials. Classic prams suit newborn babies, but are no longer useful once they can sit up. 21st century prams are a balance between the best of classic prams and buggies, which provides up to four years use. Combi prams are popular due to being highly comfortable, versatile and easy to handle. Alternating between home, pushchair and car will be made smoother and easier with a 'Three-in-One' system. An opportunity to tailor a combination ideal for you and your baby, for greater versatility, flexibility and choice. Entailing a carrycot, a convertible two-in-one pram or pushchair. Suitable from birth to toddlers. A high value and easy choice, as travel systems fulfil the same role as a 3-in-1 combination. However they ensure everything needed to prevent purchasing extra individual components. A carrycot, pushchair and car seat. A convertible two-in-one pushchair and car seat. Three wheelers have the reputation being very lightweight and narrow in the front, in turn very easy to manoeuvre. They are aesthetically appealing with their modern style. Suitable for urban and rural use. Newborn baby friendly, with a full recline or cot seat. All-terrain model designed for jogging, rough terrains and highly comfortable for everyday use. Double buggies and tandems are ideal for babies and small children close in weight and age. Designed to be compact, lightweight, durable and practical. The combi-twin version is designed for older twins or siblings. Available in the athletic three-wheeler style. Comfortable and large wheels for a smooth ride on any terrain. Both suitable from birth onwards and for babies, twins and toddlers. Seats positioned next to each other. Seats positioned one in front of the other. The main priorities for a triple, quad or multiple pram is to be lightweight, flexible, easy to handle and manoeuvre. However a bulky size is inevitable. Seats can be positioned next to or behind each other. Measuring the width to fit and avoid potential obstacles, for example a tight doorway or stairwell. Prams are big-ticket items and will need to last for the long term. One or two prams is normally the most parents will purchase, however to avoid needing to purchase more, below is age-by-age advice. At this age, your priority is to keep your baby comfortable, supported and stable. A structured and robust stroller with good suspension to handle uneven terrains. A soft and snug seat with a full recline to allow your newborn to lie on their back is a must have. A Combi or Travel System would be ideal to avoiding waking your baby when alternating between home, pram and car. Its common for parents to go for cheaper prams at this age, which the car seat fits into, then they get a pricier full-sized stroller once baby can sit up on his own. A Pram with a Bassinet, ideal for those who don't use a car often or live in the city. Sleep-deprived parents will appreciate the simplicity of just laying your baby down without the needing to figure out the add on attachments, snaps or adaptors. The bassinet will be a mini crib. Your stroller's seat is the most important once your baby can sit upright. It should be spacious, supportive, comfortable and multi-adjustable to suit your growing child. A 5-point safety belt system is vital to ensure a snug and secure fit. 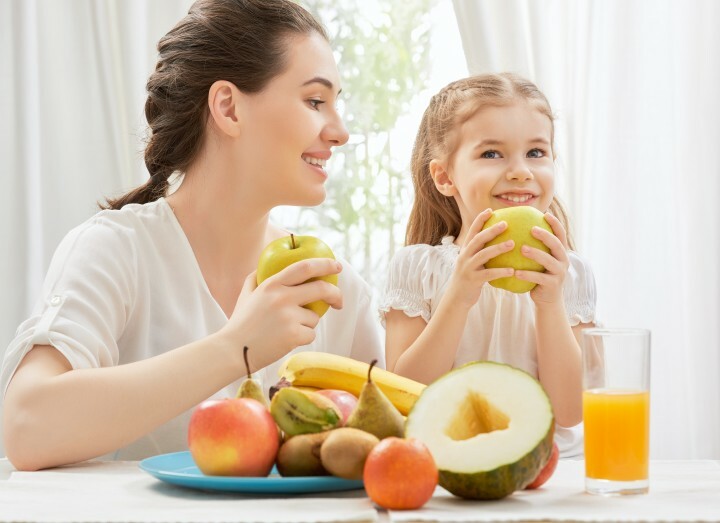 By this time you'll be more confident and experienced taking your baby outside, its one of the best times for face-to-face bonding with your baby. A forwards and backwards facing seat will be ideal. 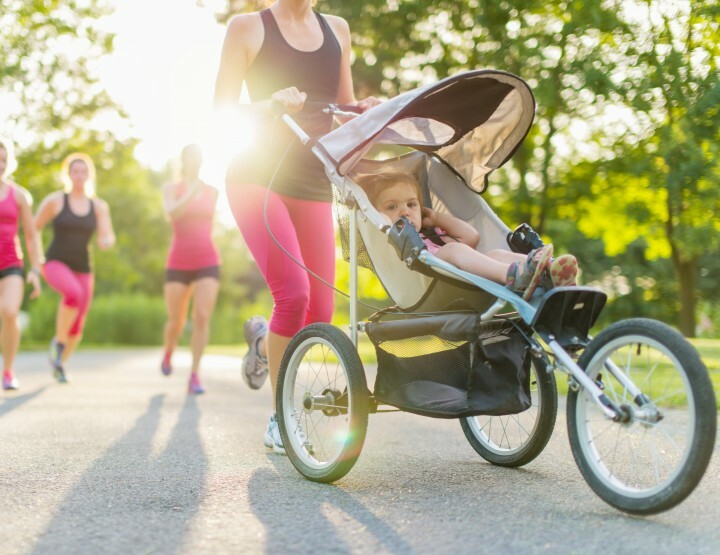 Now that your baby can support their head and neck, it's time to consider a speciality stroller based on your lifestyle. Are you a runner or hiker? then a lightweight jogger would be ideal for handling uneven terrains and sidewalks. Are you always on the go? then a lightweight and compact stroller will be best to help transport and store the pram at home or in the car trunk. The more independent your child becomes, the more they want to explore the world around them. They will be in and out of the pram often, resulting in you pushing and carrying the pram a lot of the time. Therefore a lightweight model with a fast and easy folding mechanism would be helpful. A 5-point safety belt system is still needed to secure your little adventurer. Flexible, swivel and lockable wheels will help you navigate and multi-task, as your toddler will hold your hand or want to be held as you stroll, so you'll need to push the pram with your available hand. Some prams are better at handling and control than others. A ride-on board will be ideal on those occasions when your child wants to walk rather than sit. They can step on once they become tired. Important extras which are universal, even if your baby is a few weeks or few years old. Sun Protection. . . A stroller with a large canopy will protect your child from UV rays and prevent over heating. Some new models have UV protection embedded within the canopy fabric. Storage Space. . . The amount you need will be based on your lifestyle and preferences. Do you travel light or carry a lot? Do you carry your grocery or general shopping by car or foot? Would you prefer to carry or place your changing diaper bag in the shopping basket? Adjustable Handlebar. . . A handlebar to suit both parent's height will allow both of you to comfortably push the pram. As seasons and environments change, your baby's needs change accordingly. Pram accessories and components are just as significant as your pram itself. They ensure your baby is kept cool, warm, protected and comfortable, whilst enhancing your pram's functionalities and helping you stay organised and stylish. Individual or All-in-One Accessories? Items included with your pram are more convenient, cheaper and a time saving choice in the long run, rather than making individual purchases. Universal & insulated organiser or net. Fold-away steps for older children. Hand straps to keep a strong grip of Jogger prams. Sealants and special materials for different metals, such as aluminium or chrome. Simple advice to follow to ensure your child's safety, complying with international laws. Always carefully read the instructions and have awareness of the moving parts before the first use of your pushchair. Show others who will use the pram, how it opens, closes and how the breaking and locking mechanisms operate. When you open the pram, make sure all the locking devices are secure, before folding the pram release all locks. Always use a 5-point safety belt system to secure your baby. Once your child is in the pram, do not adjust the seat position. Avoid carrying more than one child in your pushchair if it's only suitable for one child. Hanging heavy shopping or other items on the handlebar can cause the pram to lose balance and fall over. PVC rain covers should not be used in intense sunlight and indoors. Ask your family and friends about their pram experience and if you can test drive their pram. To avoid a considering a recalled pram or car seat, look up manufacturer recall lists. 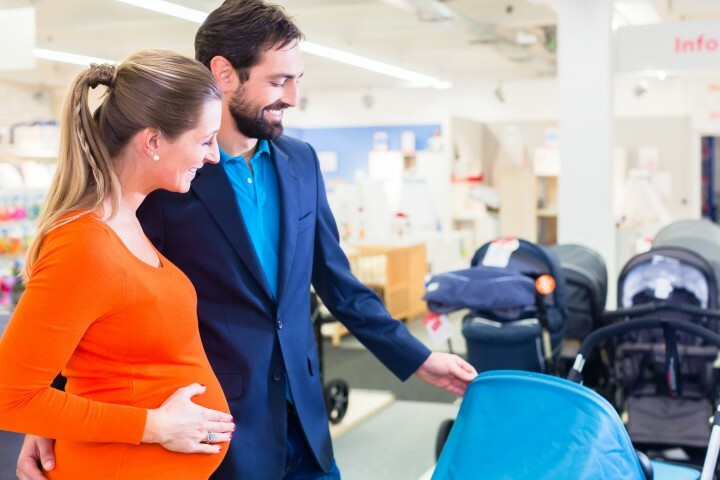 You can test drive prams at local baby stores prior to finding and ordering the best offer online. A 5-point safety belt system included? Is the seat and backrest multi-adjustable? How many positions and how far can it recline? Is the basket large and high enough? Is the pram the appropriate weight? Do the wheels swivel and lock? Can the pram be compactly stored at home and fit in your car's trunk? Is this model on a recall list? We hope you've found our guide helpful and can now make the best decisions for you and your baby. We're wishing you all the best!